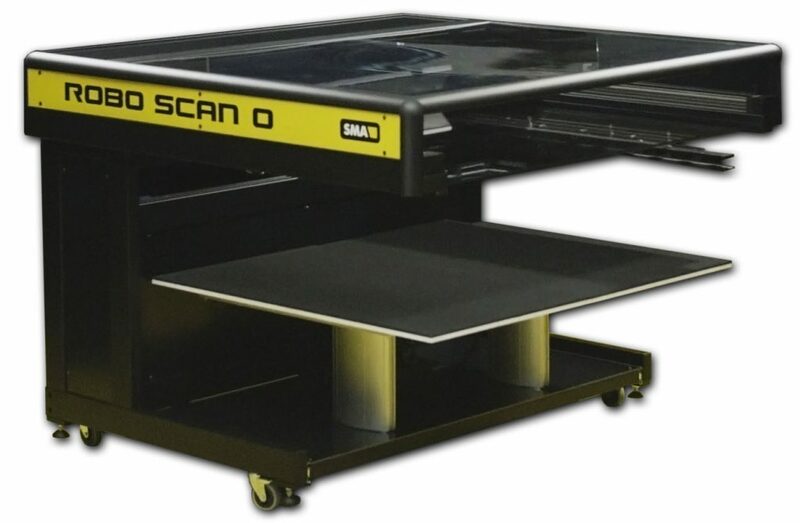 For delicate items and all manner of books and photo albums, NZMS recommends the SMA Scan Master Series, which are equipped with a unique high speed scan engine, LED lighting, and book cradles. Versatility is where the Scan Master really excels, with different versions available to capture very large, very thick volumes, and fragile large format maps and plans. NZMS are the exclusive New Zealand agents for SMA, a distinguished German firm. We use the fine range of SMA book and document scanners daily for numerous digitisation projects for our clients. The SMA Scan Master can be colour calibrated to ensure it can capture the truest and most accurate digital copy, this is particularly important when scanning artworks and illustrations for printing reproductions in books and fine art prints. Increase your throughput with the first large format book scanner with automatic page turning function. 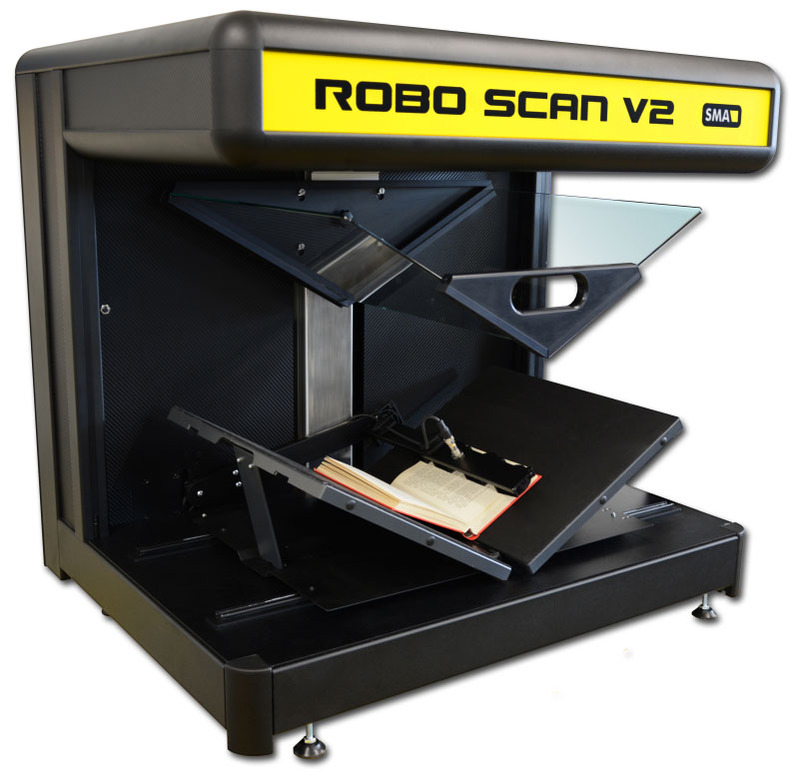 The new ROBO SCAN can handle books up to A1 with minimal oversight by the operatior who can perform other tasks such as entering metadata or indexing whilst the ROBO SCAN captures your material. A unique product offering both robotic and manual scanning in the same unit. More importantly, originals can be scanned in different orientation – flat or v-shaped, with or without the V-Shaped Glass Plate.